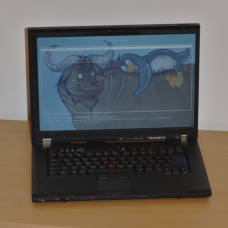 The Technoethical T500 is a grade A (excellent condition) refurbished 15.4″ fairly modular/customizable Lenovo ThinkPad T500 laptop preinstalled with Libreboot, the fully free BIOS replacement, and with a fully free GNU/Linux operating system (Trisquel). Enjoy the freedom of having best control of your computing, privacy and security by using the Technoethical T500. 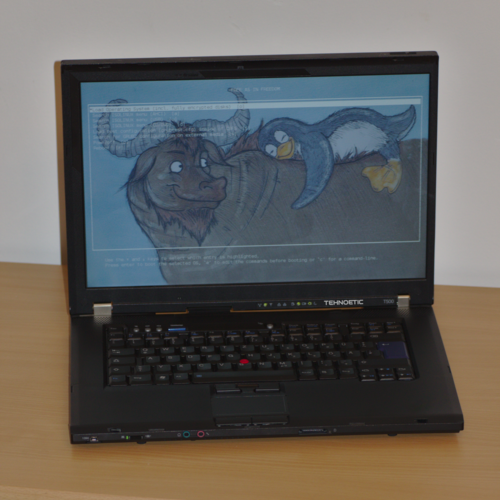 The T500 has a bigger screen than the T400 and also has a card reader by default. Please visit the specifications section for more details about the T500.